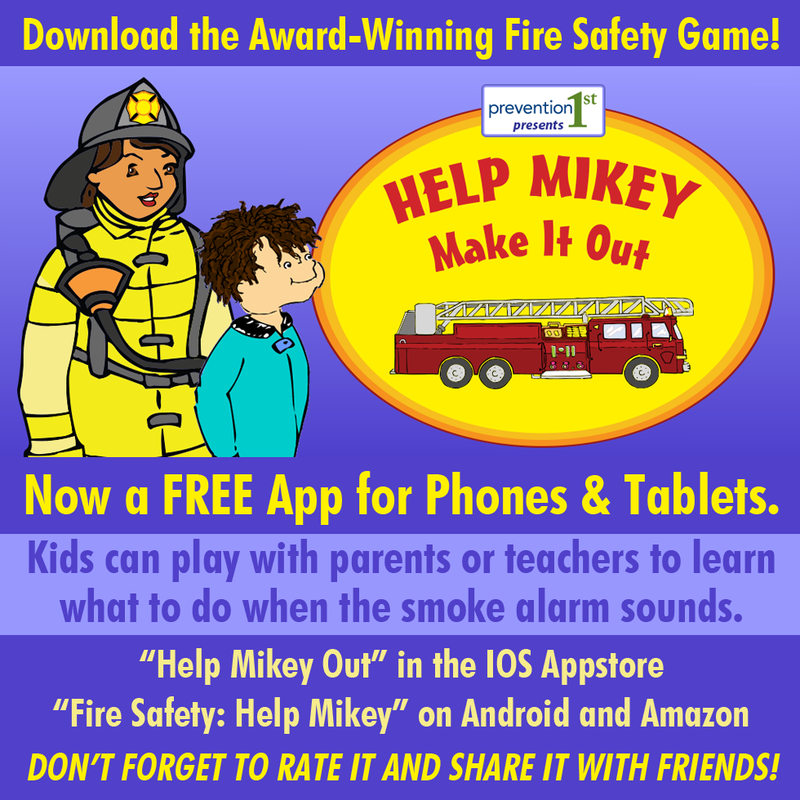 “Help Mikey Out” is an award-winning interactive fire safety game children and their parents or teachers can use together to learn what to do when the smoke alarm sounds. 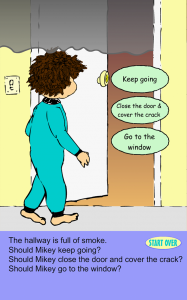 By helping Mikey escape, they learn to check the door before going out into the hallway, not to go out if there is smoke in the hallway, to crawl low under smoke, get out and stay out, and go to a family meeting place. 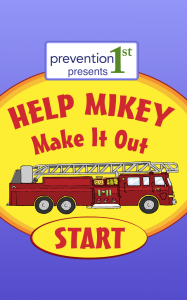 Help Mikey Make it Out is a Grand Winner in the Electronic and Video Publications category of the APEX Annual Awards for Publication Excellence! Special thanks to: New York State Office of Children and Family Services for funding, through the efforts of Senator Joseph E. Robach, in support of this interactive teaching game. 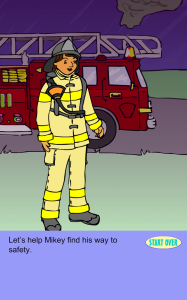 Looking for more teaching tools featuring Mikey? Check out Mikey Makes a Mess.